Listen to the 20 full-length songs for the 7th-8th Grade pilot. 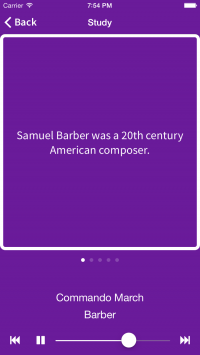 See flash facts about the selections and composers. Take quizzes over random 20-second clips of the selections. 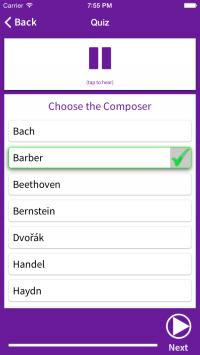 Type the major work, the selection, and the composer. 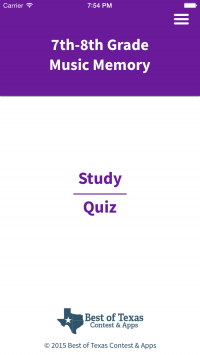 Continue to take practice quizzes with different randomly selected clips. The songs are included in the App!